My plunge into the depths of Brooklyn continues, this week visiting The Smoke Joint in Ft. Greene. 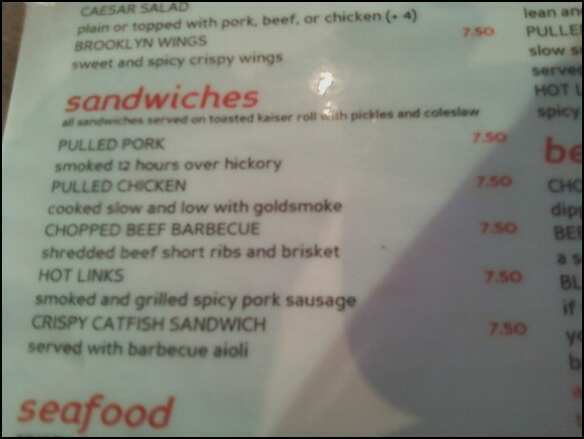 For such a pretty little upscale area, the prices at the smoke joint were fairly reasonable. At least they gave reasonable options. This is the first place I’ve been to that proudly claims to serve ‘New York Style’ BBQ. Sounds promising, but creating a regional identity means more than just naming your entrees after different neighborhoods in Brooklyn. Not to say that’s what the Smoke Joint is doing, just saying its a fine line to ride. 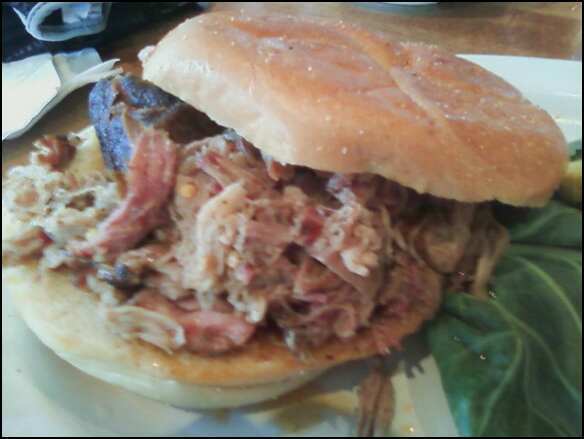 For the pulled pork ‘new york style’ means being smoked over hickory then roasted in bbq sauce. It was pretty decent, having a smokey flavor but being extremely tender from roasting. Unfortunately, the sauce they roast it in is a rather bland vinegar-based sauce that bordered on making the meat soggy and didn’t enhance the flavor much. 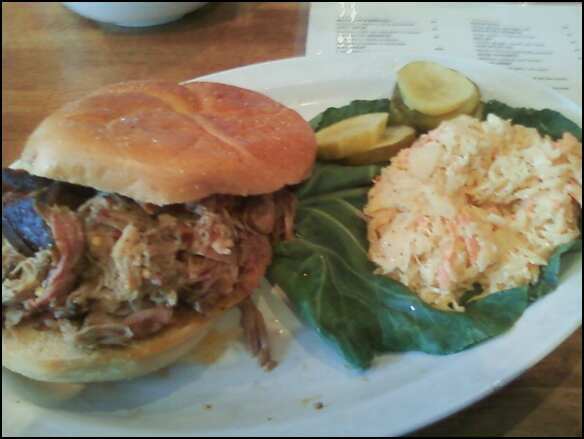 The sandwich was a healthy size and served with cole slaw for $7.50. I also tried a side of fries and for $3 got a huge bowl that was definitely enough for two people. 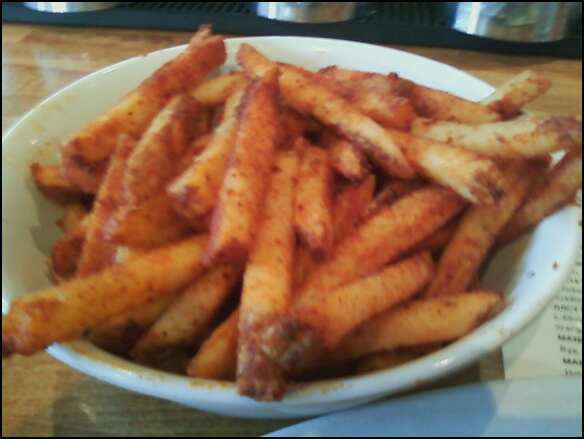 The fries were coated in their dry rub but covered in way too much of it. It wasn’t even that it made them overly salty, just too much powder of any sort for fries. I must also note the rather amazing whiskey (especially rye) selection. 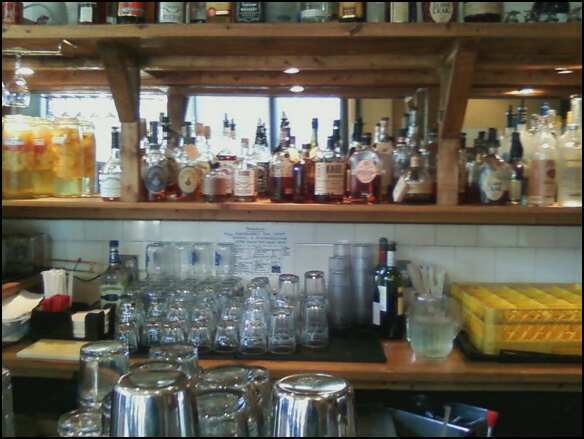 I don’t think I’ve ever seen a place with six different rye whiskey selections. Might have to come back on my birthday.